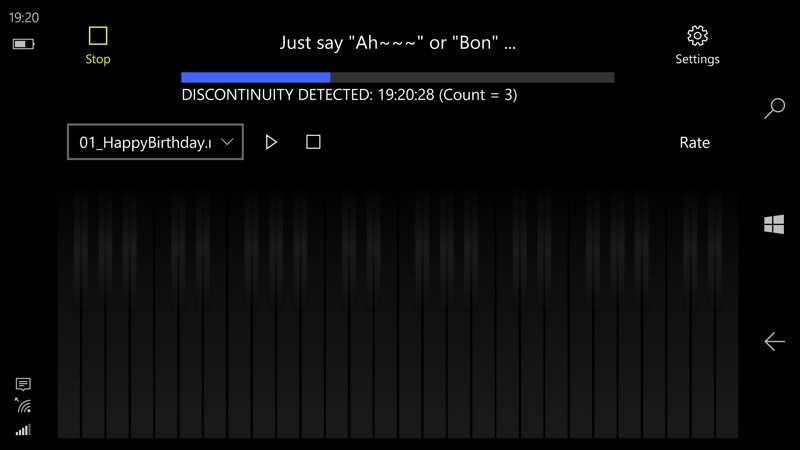 I love audio applications, especially if they're creative. And this qualifies thus, albeit at the novelty end of the spectrum. The idea is that you sample a sound (even your voice will do) and then it's auto-resampled at every frequency on a piano keyboard, so that you can then 'play' it in polyphonic multi-touch style. All in your phone, which is pretty cool. 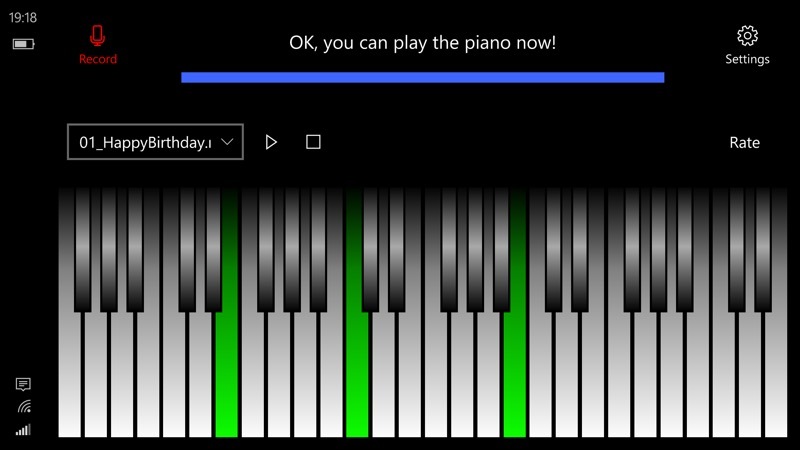 Play the piano & MIDI music with your own voice. This piano will generate tones with the sound it recorded, or loaded from audio file. You can DIY your own piano with any sound. Sampling a few seconds of my voice - "Ahhhhhhh!!!" Or anything, really, see how creative you can be! Having recorded the sample, there's a few seconds wait while the sample is reworked at every frequency for the typical piano keyboard - the layout generates in front of your eyes. Depending on the sample, this can take from a second to ten seconds. 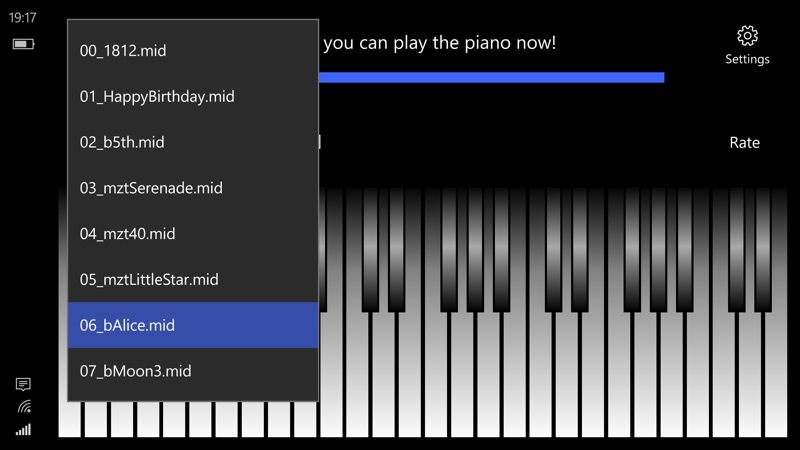 Obviously you can play the piano manually with multi-touch input, but you also get a selection of MIDI melodies to get you started. I couldn't see a way to load in new .mid files though. As you play, the notes being played light up, to give visual feedback that you're hitting the right notes. This all works in portrait mode, by the way, but it's then way too cramped to be remotely practical. So landscape it is! You also get a selection of samples included, to use instead of recording your own, or you can load in a short recording of your own. All very handy and fun to play with. As the developer states, this is perhaps more for fun than anything genuinely creative, but I'm sure you'll have your own ideas. 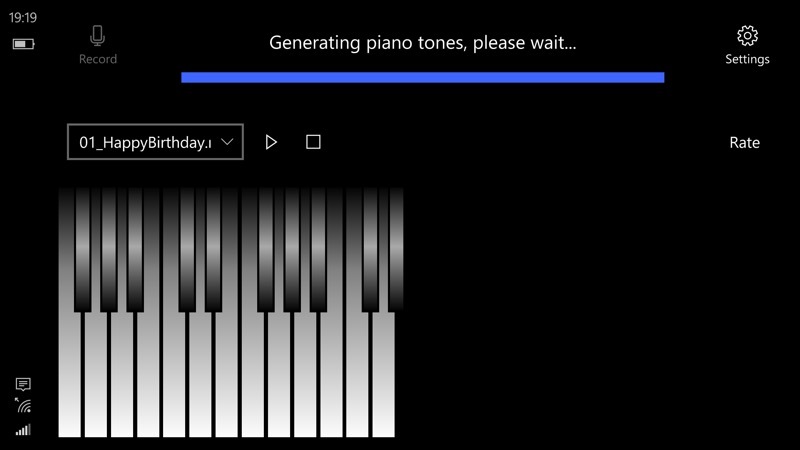 Ax-Exp DIY Piano UWP is a free download in the Store here. There are ads that you can zap with an in-app-purchase, though this is currently free, so you might as well do this now?